We will happen to format the disk without backup, for reasons such as misoperation or poisoning. After you have formatted the files, the system clears the formatted partition/SD card/memory card/USB flash drive to ensure that there is no data on the disk. If there is no backup, your data will disappear altogether. Don't worry; Format data recovery software can solve this problem quickly. If you accidentally format or reformat a disk with the useful data, you can still recover formatted files with Bitwar Data Recovery software. 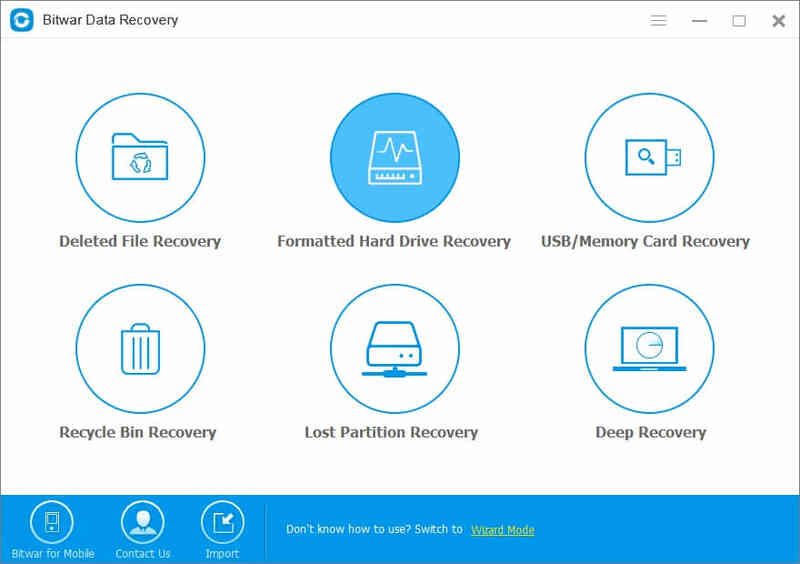 Free download format data recovery software to restore formatted files. Step1: Open Bitwar official website on your computer: https://www.bitwar.net/data-recovery-software/. Click the "Download" button to install Bitwar Data Recovery software. Step2: Launch Bitwar data recovery software and select Formatted Hard Drive Recovery when you want to restore the formatted files. Step 3: Select the partition you formatted and click Next. Select the type of file that you want to recover and click "Next". If you're going to retrieve all sorts, you can select All Types and click Next to start the scan. Notes: During the process of hard disk data recovery, it is forbidden to write data to the source disk. Don't defragment the drive and restore data as soon as possible. Step 4: During the scan, the eligible files will be listed. You can preview the thumbnail of the files in the window by clicking them. If there is too much data to be scanned, you can also filter by the file type, path or time in the left list. The file you lost will be restored after the operation. When your USB flash drive, memory stick，SD card was formatted, you can also recover its data with Bitwar Data Recovery. Summary：Bitwar Data Recovery is used in a range of data recovery software with a powerful disk scanning, disk diagnostics, data recovery, memory card recovery.